Animals, particularly horses, dogs and cats, are my specialty. And now chickens! I'm also challenging myself with people in meaningful composition. I paint in a realistic style, capturing the unique personality and characteristics of my subjects. See "Services/Contact" page to see what I can do for you. Enjoy my 2 "Gallery" pages. They are updated frequently with new pieces as they are completed. 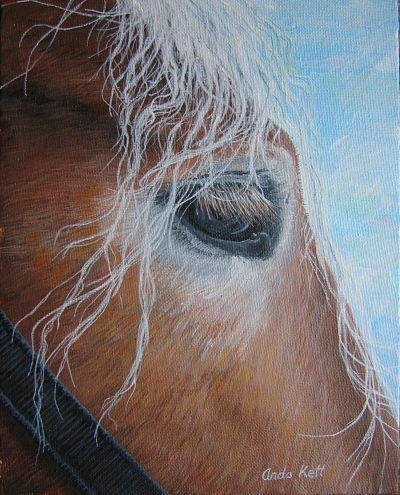 Pet portraits, horses, wildlife, doors, and landscapes make up most of her work. Anda is a nature and animal lover, which is clearly visible in her work. 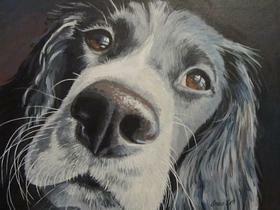 She has done portraits of all her own animals, as well as those of family, friends and many commissions. She always captures the unique spirit of her special subjects. Anda pays much attention to detail, and will not release a piece unless it meets her high expectations. I have enjoyed art, for as long as I can remember. I was always doodling and sketching, and was given paints at an early age. Earning an Hon. B.A. at McMaster University, in Hamilton, Ontario, majoring in Fine Art, studio/history developed my painting, printmaking and sculpting skills. My 4th year specialty was etching. Then I earned my B.Ed. from the University of Toronto, specializing in Visual Art education. 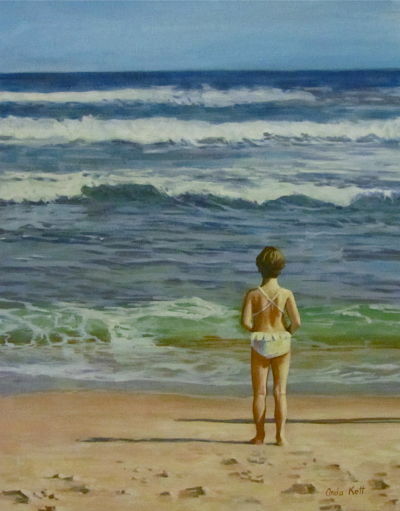 Now, since retiring from teaching, the drive and inspiration to paint has come back with a vengeance. My husband and I have traveled to Europe and around Canada, and inspiration has come from many places of beauty. I am also an avid gardener, whose favourite place, in the whole world, is my own. Living in the country, and having horses, dogs, cats and chickens around, has provided abundant joy and subject matter. The styles of Monet, Van Gogh, Vermeer and Rembrandt have been my inspiration in their use of colour and light to create a mood unique to the subject. I find a need to capture certain scenes which encompass the essence of an idea or concept: Peace, nature, harmony. I see images everywhere that I want to capture in paint, preserve in time. My subjects are constantly changing, reflecting my interests and inspirations at any given time. I love my subjects, and often choose those which reflect something meaningful in my own life: my garden, pets, travels etc. The painting process for me is usually an automatic, natural, sometimes even spiritual experience. I strive to express the positive, peaceful, or energizing aspects of my subject, which makes painting a therapeutic and uplifting endeavour. My art is a visual diary of my life, my legacy. Working en plein air at home. Paris, France. Notre Dame in the background. I have this fascination for beautiful doors! The symmetry, originality, craftsmanship, detail, history and symbolism all encompass an exciting subject that seems to be developing into a series. Horses have always been an obsession for me, and I've always had dogs and cats. I couldn't imagine being without them.